Today is National Banana Bread Day in the USA, but you can celebrate wherever you are. I love to find out about quirky holidays, especially when they involve food. Bananas were first introduced in the United States in the 1870’s, but a good number of years would pass before they were included in desserts. 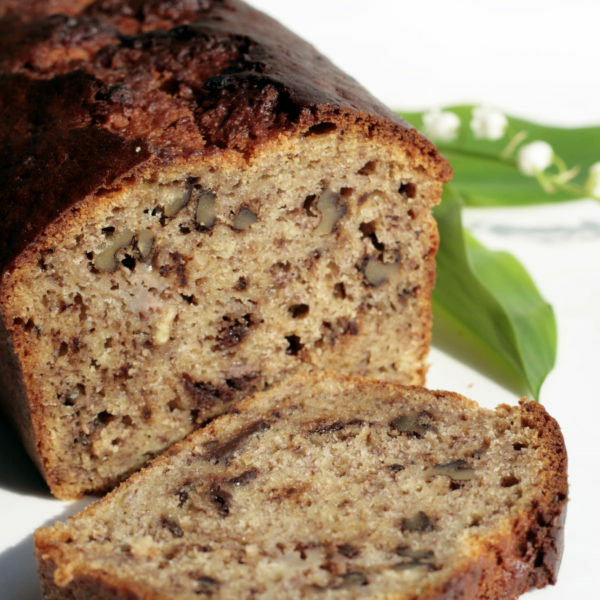 Banana bread became popular as a way to use overripe bananas. Here’s the recipe I got from my mother. It’s called Best-Ever Banana Bread. I agree with the assessment. Do you have a favorite recipe that uses bananas? 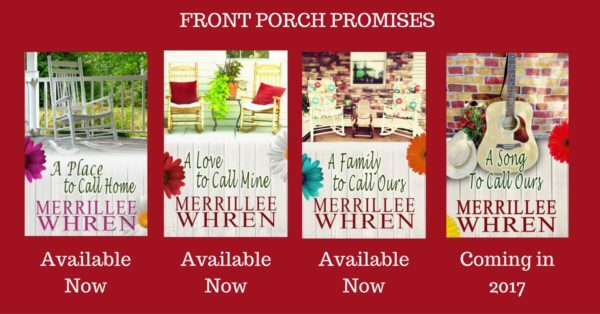 I’m giving away an e-book copy of the second book in my Front Porch Promises series, A LOVE TO CALL MINE. Here’s a little excerpt about Max, the hero of the story and his lack of interest in cooking. While he was trying to sort out the mess of his life, Heather parked her car in front of a three-story clapboard house with a porch that wrapped around one side. The second and third stories had balconies that looked out on the quiet tree-lined street. Heather and his mom were out of the car and on the sidewalk before Max could get out of the backseat. Was the cancer making him slow, or was he reluctant to check out what would surely be his new residence? His mom was already exclaiming over the place without even stepping inside. Max glanced toward her residence. Was she trying to show off her knowledge or just being informative? Would living this close to her always remind him of Brittany? Here in this new place he needed Heather’s friendship, but that fact annoyed him. He was afraid her presence in his life would bring to mind his failures. It was hard enough to see her on his treatment days, and having her for a neighbor might be more than he could handle. Was he losing his mind? Why couldn’t he stop thinking about Heather? Max smiled as he stood beside his mom on the porch. Maybe this wouldn’t be so bad after all. He felt right at home with pizza boxes. He suddenly realized why this whole scenario bothered him. Other than his freshman year in college, he hadn’t had roommates. He’d lived by himself. Even growing up, he’d been an only child. His half brother and half sister were born after he’d gone away to college. Sharing a space with other people was something he would have to get used to doing again. Max let his mom go first. On the right was a staircase that led to the apartments on the second and third floors. On the left was the door leading into the first-floor apartment—possibly his new home. Luke led the way, and Max stepped into the hallway just inside the door. He caught his first glimpse of the living room straight ahead. Dark wood floors and woodwork filled his vision. A comfortable-looking sectional curved along two walls, and a big-screen TV sat on a stand on the opposite wall. He nodded, not sure he shared his mom’s enthusiasm for the place. It was appealing. So what made him hesitate? Heather? “You have to see the rest of the place. It has a fantastic kitchen. It’s too bad it’s wasted on guys who order pizza too many times a week.” Heather chuckled. Pizza sounded fine to Max. He wasn’t much for cooking. Did they each cook for themselves? He would have to learn the logistics of sharing this space. That’s why it had always been easier not to have roommates. He’d been responsible for everything. While his thoughts roiled, Max followed the group down the hall until they came to the kitchen. Although it wasn’t large, it had the updated appliances and a solid-surface counter. Someone had put a lot of money into this rental property. Maybe the rent was going to be more than he could afford even if it was split three ways. “With Heather around to cook, maybe you won’t starve.” Beth eyed Max. “I hardly think Heather wants to cook for me.” Max tried to smile as he glanced Heather’s way. She showed no reaction to his comment. His mom, on the other hand, was probably remembering the pizza boxes she’d seen stashed in the trash at his apartment. “Are you saying I’m a terrible cook?” Max put an arm around his mother’s shoulders as he looked down on her. Great. His mom was pushing Heather on him. Not only did she live across the street, but they invited her over on a regular basis. Was God trying to send him some kind of message? First the cancer. Now Heather at every turn. Clay had always told Max that God’s plans weren’t always our plans. God’s plans were best. Max had tried to keep that in mind, but the last couple of years he’d struggled with that idea. After they’d finished looking at the rest of the apartment, and Jeremy and Luke gave Max the details about rent and utilities, he could come up with no argument against moving here except one. He had a lease to fulfill. “I don’t see any problem with waiting for your answer. We haven’t had any responses to our ad for a roommate, so I’m sure we’re good till you make your decision.” Jeremy nodded. “We’ll deal with Max’s lease even if I have to pay it off myself.” Beth patted Max’s arm. Max resisted the urge to roll his eyes. He wouldn’t argue with his mother in front of these other people. Max suppressed an angry retort. They were planning his life again. He wanted all these people to quit meddling in his world. He wanted to feel in control again. He wanted his old life back. “We’ll keep him in line.” Luke smiled as he led the way to the door. “Thanks.” Beth smiled in return. Even though his mother had smiled, Max didn’t miss the misty-eyed expression behind her smile. And if Jeremy and Luke had regular Sunday dates, maybe he’d imagined Jeremy’s interest in Heather. Max didn’t know why he was concerned about it anyway. Wonderful. Just when he thought he would have some time to himself. More time with Heather isn’t what he needed. Your book sounds fun! I am blessed to have married a man who enjoys cooking and is quite good at it:) National Banana Bread day huh? Sounds like my kinda day; I grew up in the state that nicknamed its residents ‘Banana Benders’!! I love banana bread and shall try your recipe. My boys love dried bananas (we home dry them, then put them in the freezer to store, they are like lollies), and frozen bananas in smoothies, with yoghurt and vanilla or berries. A good summer treat. Wemble, my husband is not a cook, but both of my sons-in-law cook. The one that lives here in AZ often invites us over to partake in his culinary efforts. Hubby does make smoothies with bananas and other berries for himself. Enjoy your husband’s cooking. Hi Merrilee! Sound like a delicious banana bread! Unfortunately my family is not fond of banana nut bread. My husband is pre-diabetic and banana are high in sugar, so we do not eat them a lot. My favorite way to eat them is in a banana split. Would love to win a copy of your book. Best wishes! Renate, too bad you can’t indulge in the banana bread. I would definitely miss bananas if I couldn’t eat them. Yum! I wish I had a slice with my coffee right now. Thanks for sharing the recipe, Merrillee! Sometimes I like to put chocolate chips into my banana bread recipe. Jill, chocolate chips is an interesting twist on something to put in banana bread. My younger granddaughter would certainly love it. She always wants chocolate chips in her pancakes. I really like my mom’s banana bread. She hasn’t made it in a while. It reminds me of my childhood though. We had a banana tree and during a specific time of the year we’d eat oh so many dishes with bananas. Priscila, how cool that you had a banana tree. I’ve never picked a banana right from the tree. Melanie, the chocolate flavor sounds interesting, like Jill’s chocolate chips. I haven’t made banana bread in a long time. Maybe after our move I can find my loaf pan and bake one. Your excerpt is interesting. Diana, I’m glad you enjoyed the excerpt. You will have to try this banana bread. It is sooo good! Merrillee, it’s great to see you here! I’ve just finished this story, and it is great! This bread recipe doesn’t seem too hard. I just might try this! Thank you! Sally, thanks. I hope you do try it. The bread is delicious. I love banana bread. I don’t make it enough. It seems like every time I make it it’s dry. I’ll have to try your recipe. Thanks! Marylin, I think the trick is the low temperature and slow cooking in this recipe. Definitely, use butter instead of shortening. That should make it moist. I’ve made banana bread for many years, but now adapt my recipe into muffins and put in chocolate chips for my son. We don’t bake with nuts in our house – then again with me doing the baking, maybe we do :) Have a great day! Mary, thanks for stopping by to comment. It’s rare I collect enough over-ripe bananas to bake with anymore, but when I do, banana chocolate-chip muffins are my go-to! Preheat oven to 350 degrees F. Grease and flour 2 medium sized loaf pans. Beat sugar and eggs until creamy. Mix in oil. Sift flour, soda, salt, cinnamon and allspice. Add to creamed mixture. Mix in bananas. Pour into pans and bake 1 hour or until done (toothpick comes out clean). Cool in pan, and then remove from pans. Moist enough to eat without butter! Margaret, thanks for sharing your recipe. I imagine there are dozens of banana bread recipes. Yours sounds interesting with the spices added. I had no idea there was a national banana bread day, but I’m all for it. I love banana bread. It’s hard for me to pick a favorite way to eat bananas, but I’ll go with putting them on ice cream. Jessica, bananas and ice cream. Good choice! Sounds wonderful unless you are allergic to bananas. Sheila, I’ve never met anyone who was allergic to bananas. Nuts, yes, or the gluten. Love bananas; eat them daily. I will try your recipe ’cause I love banana bread, too. Jackie, I hope you enjoy the banana bread, and bananas are good for potassium. Susanne, bananas are definitely good in smoothies. Sounds like a great recipe. Loved the excerpt from your book. Would love to read it. Thanks, Pat, for your kind words. I love banana nut bread. So delicious. Enjoy reading the excerpt, sounds like it will be an interesting read. Kaleen, thanks for stopping by the blog and commenting. I love banana nut bread, too. Hi Merrillee, Well, I guess I missed my chance–it’s kind of late to make banana bread now. I’ll just have to wait until next year. :-D My daughter sometimes substitutes applesauce for some of the oil in her banana bread. It gives it a bit of a different flavor. Your recipe sounds wonderful. Thanks fir sharing your recipe. My hubby makes a delicious banana bread also. I loved the story you shared. It sounds like a great book. my mouth is watering! I’ve been off sugar and fruit and yeast since January and now all i want is a slice of banana bread with butter! LOL! Your banana bread looks yummy. I sure would love to have a piece with my coffee. I guess I’ll have to mark your page and try your recipe. Congratulations on the new book coming out in 2017. How does one miss such an important holiday? I have over-ripe bananas on my counter and I’m going to try your recipe. We’ve been using “Flour’s Famous Banana Bread” recipe for a few years and my kids love it! In fact, they will avoid packing bananas in their lunch because they know I will not let them go to waste.